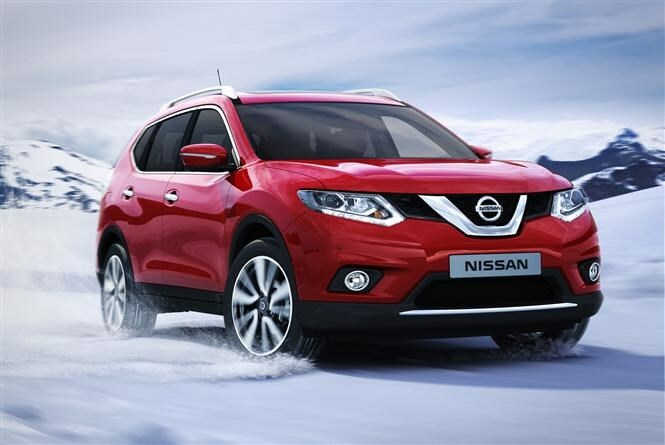 The Nissan X-Trail has built a reputation as a sturdy, practical 4x4 that’s capable off-road. The current version has been around since 2007 though, so it’s high time for a replacement. Set to go on sale in July 2014, the all-new X-Trail looks far sleeker than the blocky model it replaces - though Nissan claims it will be just as tough underneath. The X-Trail will be available with the option of either five or seven seats and the rear doors have been designed to open to a wide 80-degree angle, making it easier to load a child seat. The new car has a longer wheelbase than the model it replaces and the front seat backs have a more scalloped shape, both of which allow greater knee room for rear passengers. Interior storage spaces include a large cubby box between the front seats designed to be large enough for an iPad. A remote-operated electric tailgate is another practical touch. The boot incorporates a double-height load surface, enabling large items to be stored at the bottom of the boot with smaller items stowed above at the same time. The surface can hold 10kg of luggage in its highest position and 75kg in its lower position. There’s the option of either two- or four-wheel drive, the former offering lower emissions and better fuel consumption and the latter greater ability on rough terrain. The outgoing model was hamstrung by a rather thirsty appetite for fuel but the new X-Trail has been on a diet and aerodynamics have been improved, allowing smaller and more frugal engines to be fitted. Engine line-up details will be announced closer to the car’s on-sale date next year. A host of electronic systems have been fitted to the new car, including Active Ride Control (which monitors the road ahead and proactively adjusts the suspension to keep the body stable) and Active Trace Control, which brakes individual wheels when cornering to help keep the car on the driver’s chosen line and avoid losing control on slippery surfaces. A Hill Descent Control system will also help keep the driver in control on steep slopes in off-road scenarios. The X-Trail will be fitted with the latest iteration of the ‘NissanConnect’ multimedia system, displayed on a seven-inch touchscreen. In certain models the system will incorporate satellite-navigation, Smartphone connectivity and Bluetooth audio streaming. Apps available will allow music, social networking and Google travel information services. Top trim levels feature all-LED headlights, a full-length sunroof and 19-inch alloy wheels. Leather upholstery will be available as an option. We’ll be getting behind the wheel soon so for a full Nissan X-Trail review check back soon to find out if Nissan’s new SUV fits the bill as a family all-rounder.